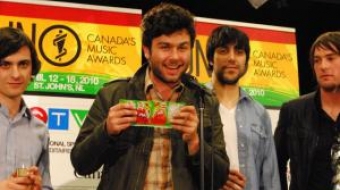 On Saturday, April 17th a long list of Juno awards were presented at the gala dinner and awards, the non-televised portion of the Junos. The Vancouver Observer was there, well, observing the festivities: here are a few of our favorite winners, be on the look-out for video footage coming soon! 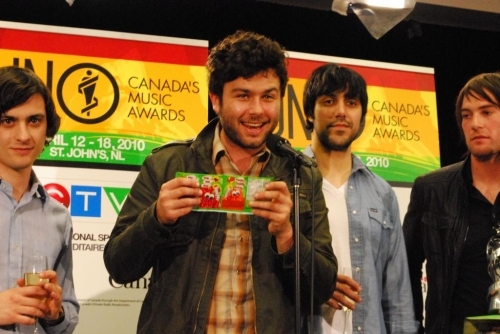 The Arkells enjoying a selection of candy at the press room. 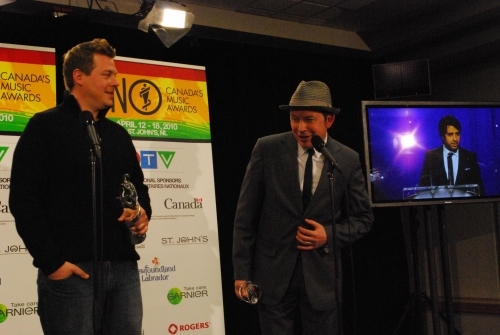 Dubmatix and Prince Blanco took home reggae recording of the year for Gonna Be Alright. Haydain Neale's widow Michaela and ex-bandmate speak on the former Jacksoul frontman's behalf; Jacksoul won R&B/Soul album of the year. 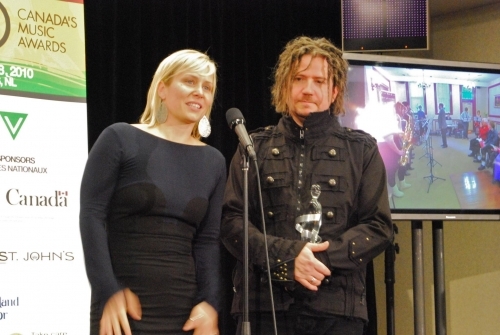 Digging Roots were ecstatic to win Aboriginal album of the year for We Are. 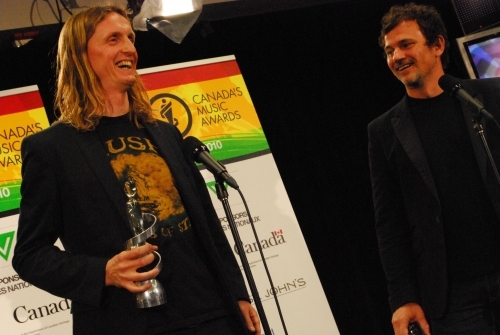 Winners of music DVD of the year for Iron Maiden Flight 666 - Sam Dun and Scott McFayden. 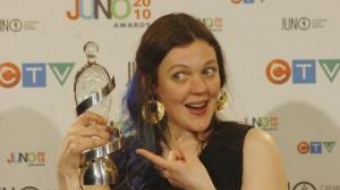 Amelia Curran started her career on the corner of George and Water St, right here in St. Johns. 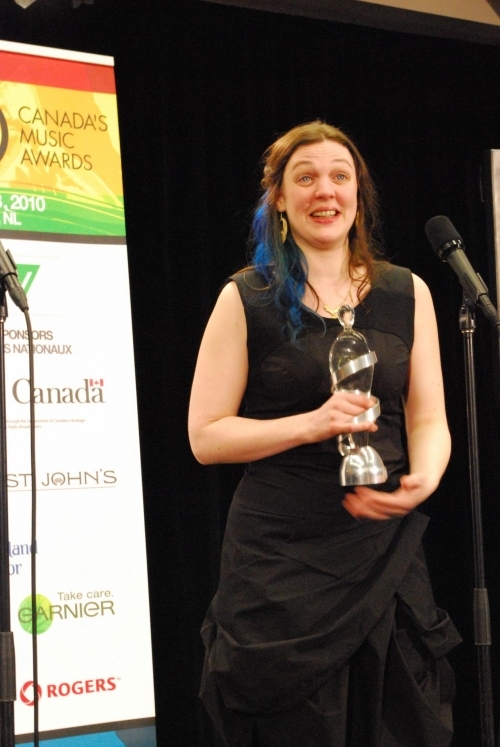 She took home Traditional & Roots album of the year (solo) for Hunter, Hunter. Metric dances it out; they won Alternative album of the year for Fantasies. 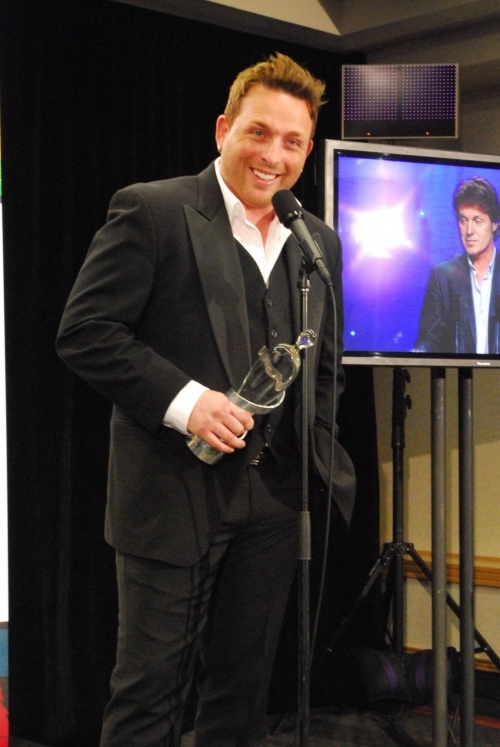 Johnny Reid's baby blues sparkled as he spoke of his wife and 4 children; he won country album of the year for Dance With Me. 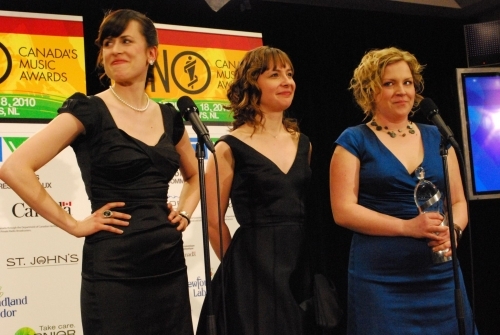 The Good Lovelies looked lovely holding the Juno for Roots and Traditional (group) album of the year for their self-titled album.